I have always been fascinated about New York City. 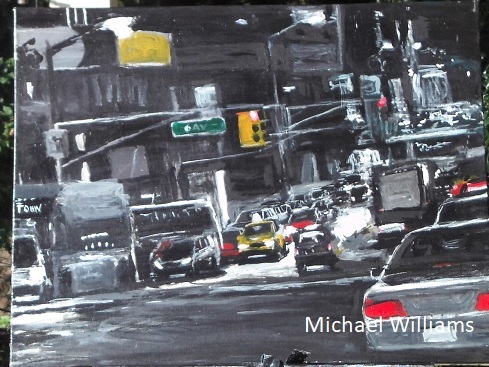 When I did the painting I often imagined being out on the street looking at and listening to the hustle and bustle of the city that never sleeps. It has also been a dream of mine to actually visit the big apple and proclaim my bragging rights to have set foot there or who knows maybe live there for a while.